I’m not really a statistics kind of guy, but knowing that probability distributions come up in graphics (Like in PBR & Path Tracing), it seemed like a good time to upgrade knowledge in this area while sharing an interesting technique for generating normal distribution random numbers. Below is an image showing a few normal (aka Gaussian) distributions (from wikipedia). – “mu” is the mean. This is the average value of the distribution. This is where the center (peak) of the curve is on the x axis. – “sigma squared” is the variance, and is just the standard deviation squared. I find standard deviation more intuitive to think about. – “sigma” is the standard deviation, which (surprise surprise!) is the square root of the variance. This controls the “width” of the graph. The area under the cover is 1.0, so as you increase standard deviation and make the graph wider, it also gets shorter. I find the standard deviation intuitive because 68.2% of the data is within one standard deviation from the mean (on the plus and minus side of the mean). 95.4% of the data is within two standard deviations of the mean. Standard deviation is given in the same units as the data itself, so if a bell curve described scores on a test, with a mean of 80 and a standard deviation of 5, it means that 68.2% of the students got between 75 and 85 points on the test, and that 95.4% of the students got between 70 and 90 points on the test. The normal distribution is what’s called a “probability density function” or pdf, which means that the y axis of the graph describes the likelyhood of the number on the x axis being chosen at random. This means that if you have a normal distribution that has a specific mean and variance (standard deviation), that numbers closer to the mean are more likely to be chosen randomly, while numbers farther away are less likely. The variance controls how the probability drops off as you get farther away from the mean. Thinking about standard deviation again, 68.2% of the random numbers generated will be within 1 standard deviation of the mean (+1 std dev or -1 std dev). 95.4% will be within 2 standard deviations. Generating uniform random numbers, where every number is as likely as every other number, is pretty simple. In the physical world, you can roll some dice or flip some coins. In the software world, you can use PRNGs. How would you generate random numbers that follow a normal distribution though? In C++, there is std::normal_distribution that can do this for you. There is also something called the Box-Muller transform that can turn uniformly distributed random numbers into normal distribution random numbers (info here: Generating Gaussian Random Numbers). I want to talk about something else though and hopefully build some better intuition. First let’s look at coin flips. What happens when we sum 3 coins? With a million flips I got 125113 0’s, 375763 1’s, 373905 2’s and 125219 3’s. That looks a bit like the normal distribution graphs at the beginning of this post doesn’t it? Flipping and summing coins will get you something called the “Binomial Distribution”, and the interesting thing there is that the binomial distribution approaches the normal distribution the more coins you are summing together. At an infinite number of coins, it is the normal distribution. What if instead of flipping coins, we roll dice? Well, rolling a 4 sided die a million times, you get each number roughly the same percentage of the time as you’d expect; roughly 25% each. 250125 0’s, 250103 1’s, 249700 2’s, 250072 3’s. With dice, instead of being a “binomial distribution”, it’s called a “multinomial distribution”, but as the number of dice goes to infinity, it also approaches the normal distribution. This means you can get a normal distribution with not only coins, but any sided dice in general. An even stronger statement than that is the Central Limit Theorem which says that if you have random numbers from ANY distribution, if you add enough of em together, you’ll often approach a normal distribution. Now comes a fun way of generating random numbers which follow a normal distribution. Are you ready for it? Simply generate an N bit random number and return how many 1 bits are set. That gives you a random number that follows a normal distribution! One problem with this is that you have very low “resolution” random numbers. Counting the bits of a 64 bit random number for instance, you can only return 0 through 64 so there are only 65 possible random numbers. That is a pretty big limitation, but if you need normal distribution numbers calculated quickly and don’t mind if they are low resolution (like in a pixel shader? ), this technique could work well for you. Another problem though is that you don’t have control over the variance or the mean of the distribution. That isn’t a super huge deal though because you can easily convert numbers from one normal distribution into another normal distribution. To do so, you get your normal distribution random number. First you subtract the mean of the distribution to make it centered on 0 (have a mean of 0). You then divide it by the standard deviation to make it be part of a distribution which has a standard deviation of 1. At this point you have a random number from a normal distribution which has a mean of 0 and a standard deviation of 1. Next, you multiply the number by the standard deviation of the distribution you want, and lastly you add the mean of the distribution you want. That’s pretty simple (and is implemented in the source code at the bottom of this post), but to do this you need to know what standard deviation (variance) and mean you are starting with. If you have some way to generate random numbers in [0, N) and you are summing M of those numbers together, the mean is . Note that if you instead are generating random numbers in [1,N], the mean instead is . The variance in either case is . The standard deviation is the square root of that. Using that information you have everything you need to generate normal distribution random numbers of a specified mean and variance. Thanks to @fahickman for the help on calculating mean and variance of dice roll sums. Here is the source code I used to generate the data which was used to generate the graphs in this post. There is also an implementation of the bit counting algorithm i mentioned, which converts to the desired mean and variance. template <size_t NumBits> // aka NumCoinFlips! // generate our normal distributed random number from 0 to 65. I followed that tutorial, making a WebGL PBR implementation as I went, but also making some C++ for pre-integrating diffuse and specular IBL (Image Based Lighting) and making the splitsum texture. 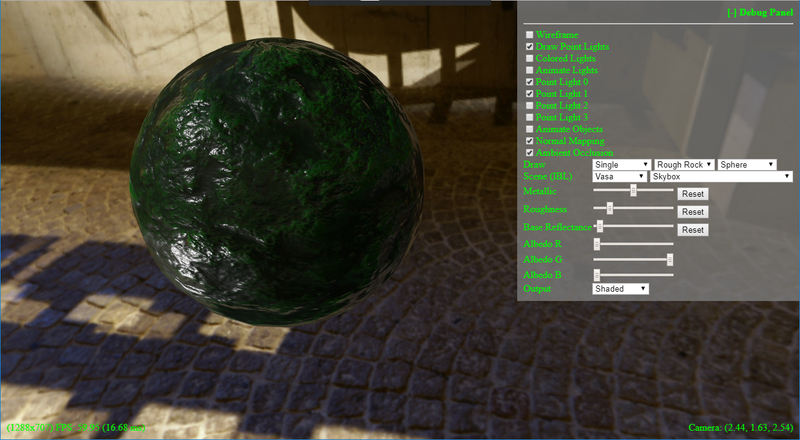 Pre-integrating the diffuse and specular (and using the splitsum texture) allows you to use an object’s surroundings as light sources, which is more in line with how real life works; we don’t just have point lights and directional lights in the real world, we have objects that glow because they are illuminated by light sources, and we have light sources which are in odd shapes. 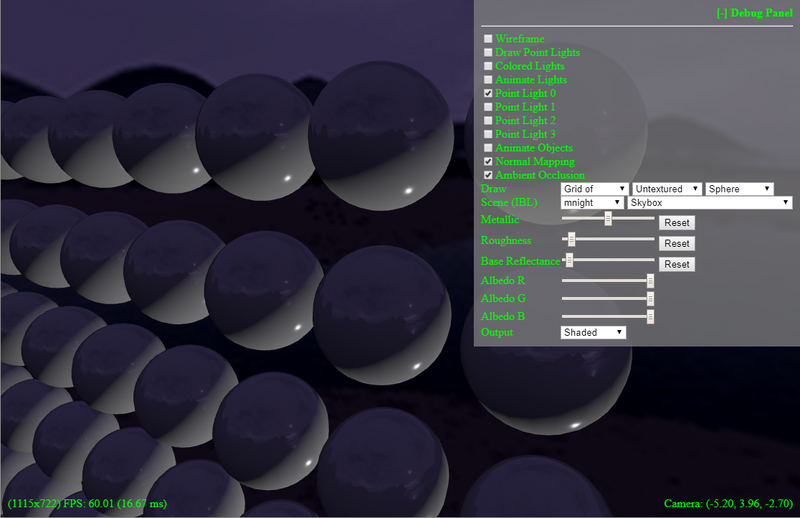 It’s possible that there are one or more math errors or bugs in the C++ as well as my WebGL PBR implementation. At some point in the future I’ll dig deeper into the math of PBR and try and write up some simple blog posts about it, at which point I’ll be more confident about correctness other than “well, it looks right…”. In the professional world, programmers work in teams as a rule, with very few exceptions. For the programmers aiming to remain programmers, and not going into management, we are often focused on our specific trade or area of expertise though, and so we spend less time learning about or thinking about what makes a team successful. We learn some from personal experience – realizing that certain things are bad for a team many times by seeing the failures manifest in front of us – but we are definitely more likely to pick up a book on algorithms than we are a book on team management. My mother in law is the opposite however, as part of what she does is mentor people to being leaders of teams and large organizations, and also consults to organizations in the field of education to fix budgetary and organizational problems they may be having. She showed me an interesting chart the other day that is really eye opening. It’s a formalized look at how to identify some things that may be going wrong with a team. The chart itself is from the educational sector (Tim Knoster in ~1990), and is meant to be used to “Manage Complex Change”, but looking at it, and having been a professional programmer for 16 years, it is definitely applicable to any team. The chart is valuable whether you are leading a team, part of a team, or observing a team you are not a part of. How you use this chart is you look on the right side to see what sort of problems your team may be having: confusion, anxiety, resistance, frustration, or false starts. From there you scan left until you find the black box. That box is the element missing which is causing the problem for the team. That’s all there is to it, it’s pretty simple. It actually seems like pretty obvious stuff too in hindsight, but I wouldn’t have been able to formalize something like that. Obviously not every situation can be boiled down into a simple chart like this, and there are variations of this chart including more or different rows and columns, but this is a good start at trying to “debug a team” to figure out the source of an issue. Why Are Some Shadows Soft And Other Shadows Hard? 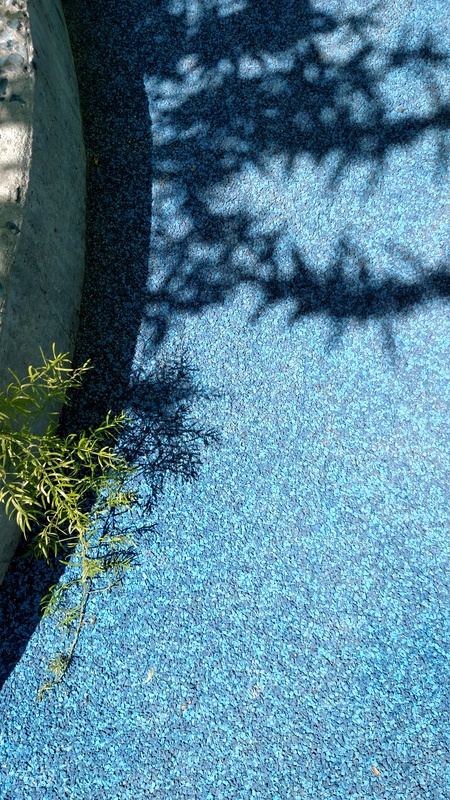 This is a quick post on why some shadows have soft edges, and other shadows have hard edges. The picture below looks pretty normal right? 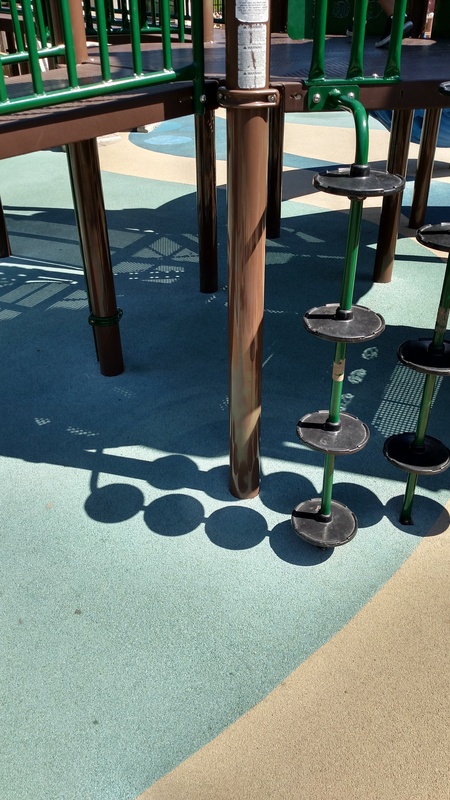 The shadows of the circular platforms on the right are sharp, but get softer as they go to left. Why are some shadows soft and some shadows hard? The crux of what is going on here is that shadows that are nearer to the objects casting the shadow are sharper. Shadows that are farther from the objects casting the shadow are softer. More plainly: Things closer to the ground have sharper edged shadows. 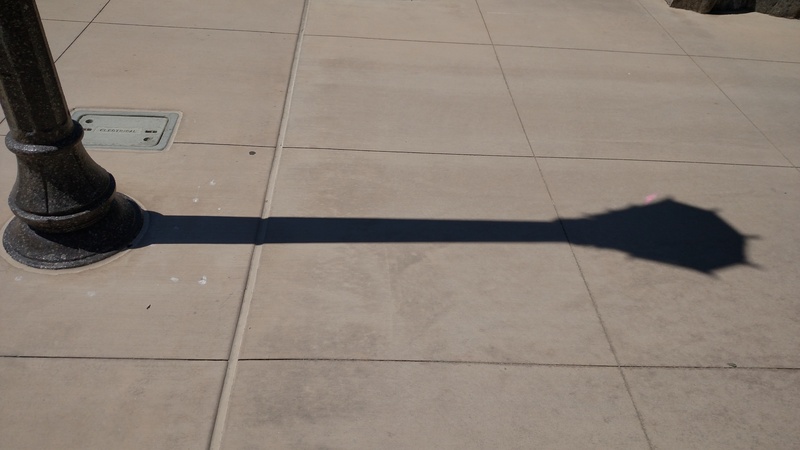 Go have another look at the pictures if you want (click them to see them full sized) and see how distance from the ground affects the sharpness of the shadow’s edge. Now let’s think about where the ground would be completely in shadow. We can draw a line where all the ground to the left is completely in shadow. This is the point where all the ground to the right can “see” the sun, but all the ground to the left cannot see it. This area is called the “umbra” which is latin for shadow. Now let’s think about where the ground would be completely lit up. We can draw a line where all the ground to the right is completely lit up by the sun. This is the point where all the right to the right can “see” the sun completely, but all the ground to the left has some amount of the sun obscured, so can only see some of the sun if any of it. So the penumbra is where the soft edge of a shadow is, but how is this related to distance? Here is the situation when the shadow casting (brown) object gets closer to the ground. Note how the penumbra is a lot smaller. Here it is when the shadow casting (brown) object gets farther away from the ground. Note how the penumbra gets larger! Distance isn’t the only thing that can affect penumbra size though. Here you can see that a larger light makes a larger penumbra. Here you can see how a smaller light makes a smaller penumbra. 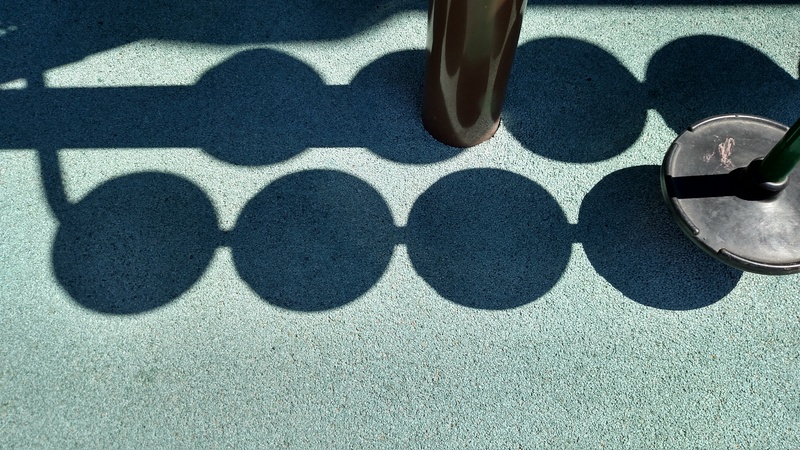 If a light was infinitely small (a point light), it would not make a soft shadow edge, no matter how far or close the shadow was to the thing casting the shadow. While point lights do exist in computer graphics, you likely would still want to make a soft shadow for them if you are able to, as point lights can’t exist in real life. If you’ve never noticed this property of shadows before, you will probably never be able to un-see this. This is what it’s like being a graphics programmer (or an artist, photographer, etc, I’m sure!) – looking at and understanding how things like this work completely changes how you see the world. Lately, everywhere I look, I’m checking out the reflections and thinking about SSR (screen space reflections). Just check out the cool reflections below, that you probably didn’t even think anything of when you first saw the picture!